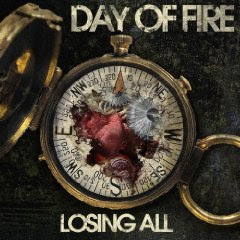 Hall of the Mountain King: Review: Day of Fire, "Losing All"
So, here we have the third album from Day of Fire, my introduction to the band. 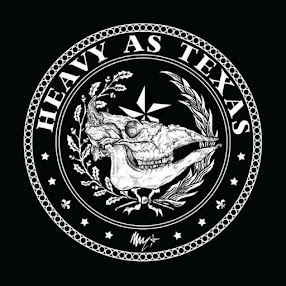 It’s apparently the new project of Josh Brown, former singer of Full Devil Jacket, a nu-metal outfit that I vaguely remember from the late 1990s. Apparently Brown got a little big-headed in his previous band and then overdosed on heroin, which led to rehab and a break in his music career. He emerged with more of a radio-friendly hard rock sound which is on display here. Losing All starts off quite promisingly with the rip-roaring hard rocker “Light ‘Em Up.” It’s an attitude-filled, high energy number with a very memorable hook, and I’m thinking that I’m going to end up with an early entry on the favorites list this year. Unfortunately, that’s not to be. My enthusiasm begins to wane with the second track. “Hello Heartache,” co-written by American Idol alum Chris Daughtry, is as plastic and commercial as you’d expect it to be, a stark contrast from the raw, rebellious energy of the opening track. Often on the record, Day of Fire comes way too close to Nickelback for comfort. The acoustic “Airplane” and commercial ballad “Long Highway” are perfect examples. And even when they have some good moments, their more radio-friendly leanings spoil them a bit. A jangly chorus detracts from the cool opening guitar riff and verse of “When I See You,” and an attempt to channel The Doors on “Strange” is brought down as Brown’s vocals, again, veer a bit too much toward Nickelback. Losing All ends with perhaps its best performance on the brooding “The Dark Hills.” The mysterious, slightly western sounding opening grabs you almost immediately, and Brown’s vocals have a haggard tone well suited to the song and not found elsewhere on the record. The whole feel of the tune is much darker and grittier than anything that came before, and is enough to dull the memory of some of the more commercial sounds found earlier on the record. I get the feeling that Day of Fire could be a powerhouse hard rock outfit if they’d really cut loose and not worry so much about making their sound marketable. As it is, Losing All is not bad as commercial rock goes, and “Light ‘Em Up” and “The Dark Hills” are certainly worth at least a listen for any hard rock fan.